We welcome students from Germany, Australia, Austria, South Korea, Denmark, Spain, the United States, Finland and France, among others. 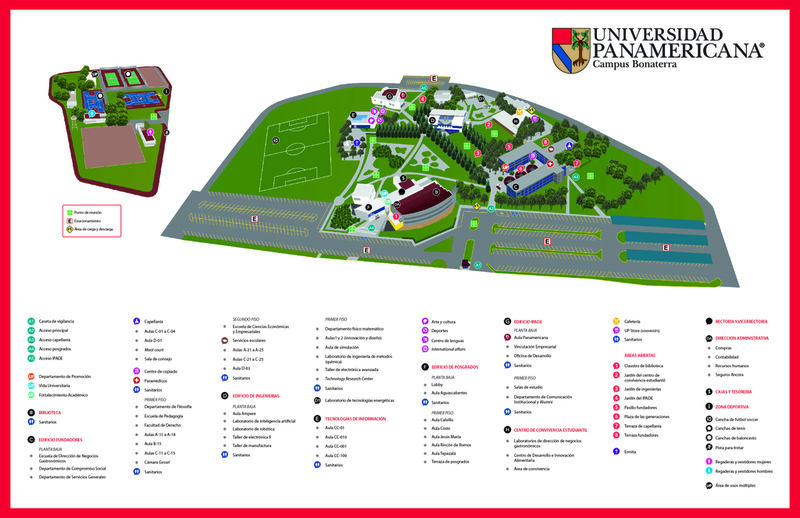 With the Buddy Program, Panamericana students will show you the university life of our country. Zapopan, Jalisco; January 14, 2019.- Universidad Panamericana Campus Guadalajara, in collaboration with the Department of International Affairs, welcomed the 33 international students who will be part of the university community in the first semester of 2019. The event began with a reception breakfast for exchange students, which was attended by Dr. José Antonio Esquivias Romero, rector of our university, as well as Dr. Sergio Velázquez, vice chancellor of Research, Dr. Rafael Hernández Cázares, vice chancellor of Academics, and the International Affairs team, composed of Maricela Wolfe Magaña, Elva Liliana Leaños Magaña, Leonel Partida Zepeda and Eduardo Díaz de León Hernández. Later, Captain Leoncio Monjarás Wintergerst, head of the office of International Affairs, shared some words for those present. Also present was the school mascot, the Panamericana panther. In addition, a tour of the campus facilities was conducted giving the students a chance to see and get to know the campus. Finally, the Buddy program was introduced. In this program, exchange students are paired with national students, who will show them the life of a university student from our country, as well as share with him or her various activities during their stay. . In the words of Anne Marie, who lives in Holland and studies International Business, among her expectations are "to experience Mexican culture, improve my Spanish and enjoy university life because it is very different from what it is at home". On her chosen destination to carry out the exchange, she explained: "My school offers some associated universities around the world, but I really wanted to go to Mexico and the Panamericana is a University associated with mine." For Merel, who visits us from Denmark and studies Communication, this exchange is a door to opportunities. "I go to a public university at home and this is a private school. Therefore, it is very different. There are many more possibilities. I like to follow the benefits of all these possibilities and I hope to have a good time, travel and get to know Mexico," she said. Students were received from Germany, Australia, Austria, South Korea, Denmark, Spain, the United States, Finland, France, Holland, Italy, Mexico and Taiwan.